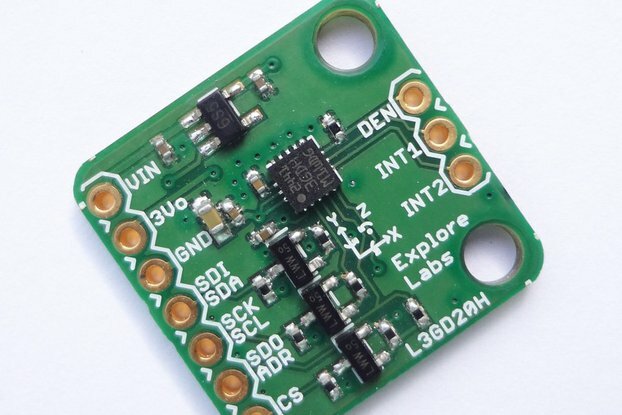 IMU 9DoF Fusion is a 9 Degrees of Freedom sensor board created using Invensense's MPU-6050 and Honeywell's HMC5883L. 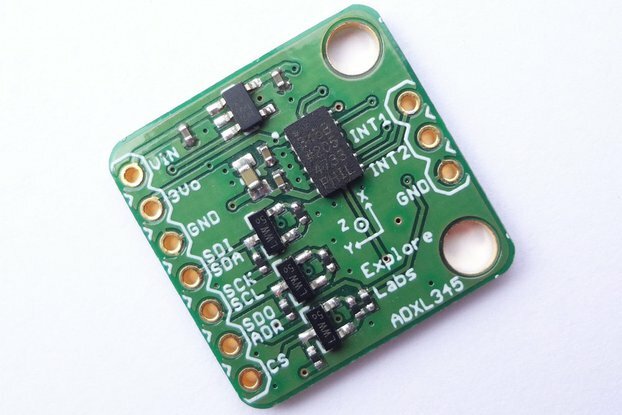 Orientation sensors have become common these days with increasing use in Robotics and RC Applications. These are used for object stabilisation as well as detecting the orientation of the object in real time in three dimensional space. 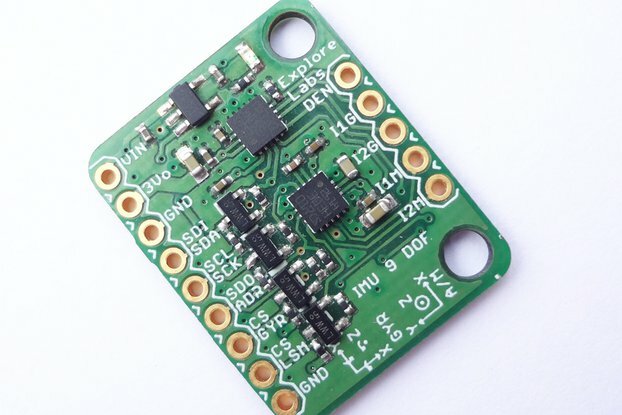 The IMU 9 DoF Fusion board comes with an advanced feature of Auto Voltage Level Selection and Shifting which enables the user to input any voltage between 3.3V to 5.5V and still be able to use the sensor Breakout without any external regulators, Level Shifters or Pull-up Resistors. 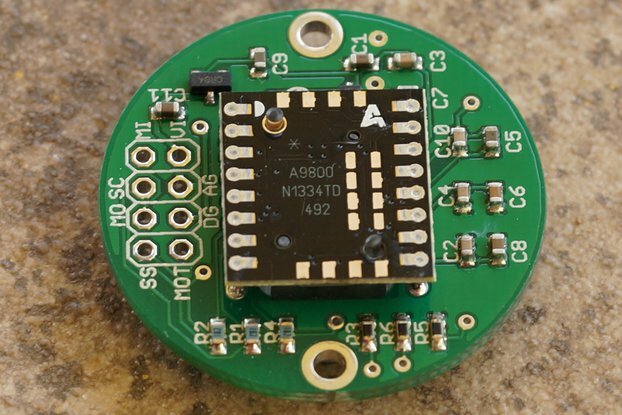 MPU-6050 combines a 3-axis gyroscope and a 3-axis accelerometer on the same silicon die together with an onboard Digital Motion Processor™ (DMP™) capable of processing complex 9-axis MotionFusion algorithms. 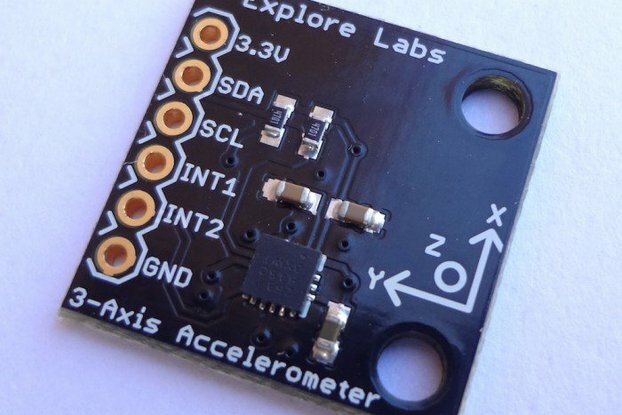 The parts’ integrated 9-axis MotionFusion algorithms access external magnetometers or other sensors through an auxiliary master I²C bus, allowing the devices to gather a full set of sensor data without intervention from the system processor (AUX interface is currently not broken out on board!). Digital Motion Processing™ (DMP™) engine offloads complex MotionFusion, sensor timing synchronization and gesture detection. 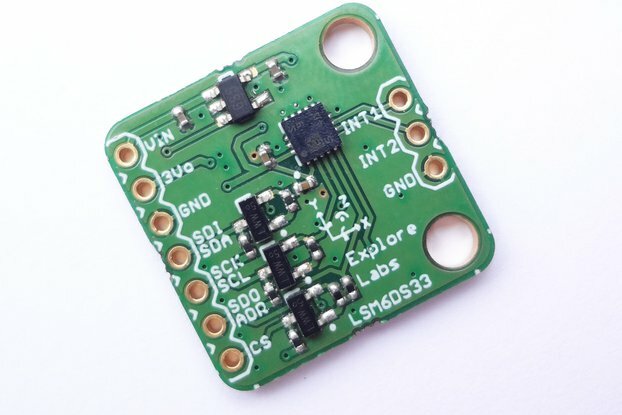 The Honeywell HMC5883L is an ultra-small sensor designed for low-field magnetic sensing with a digital interface for applications such as low-cost compassing and magnetometry. 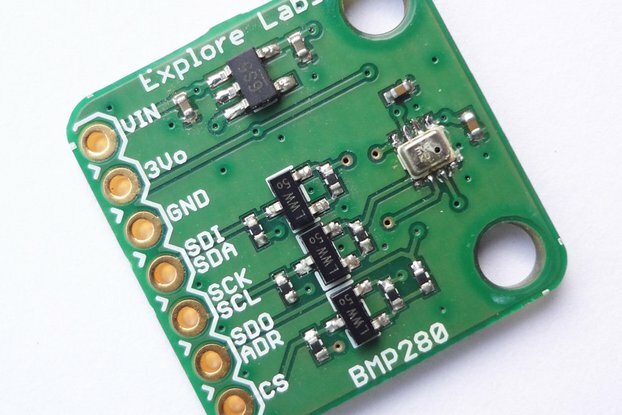 This board breaks out both sensor's I2C interface for easy access to the sensor values. 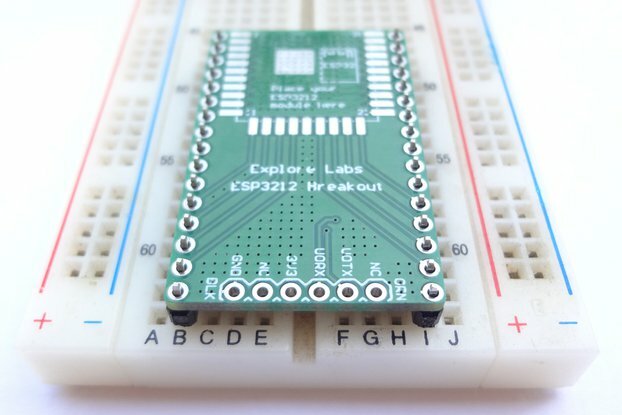 There is no need to worry about the voltages running through the board. 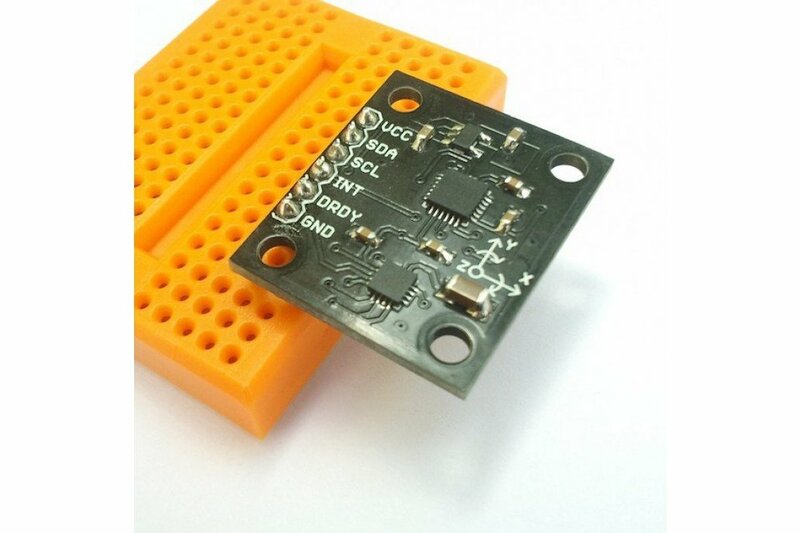 It is compatible with any voltage between 3.3V to 5.5V (both Supply Voltage as well as I/O Voltage). 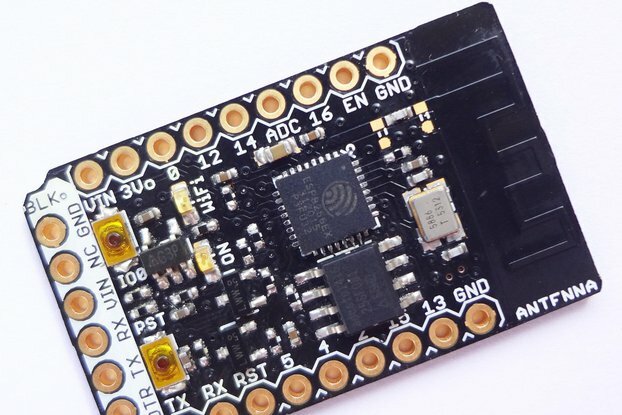 The user may choose an output in the form of raw values for accelerometer (g value), gyroscope (degrees per second) and magnetometer (milli gauss) or direct output in the form of Yaw, Pitch, Roll and Heading. All the voltage level shifting has been taken care of on-board. Y-axes of both the MPU-6050 & HMC5883L are aligned on-board. Supports I2C communication @ 100 kHz. Digital-output of 6 or 9-axis MotionFusion data in rotation matrix, quaternion, Euler Angle, or raw data format using Jeff Rowberg's DMP sketch for Arduino.